I've been holding onto this cheese post as I knew nothing about the cheese-makers and couldn't really find any information about them. As it happens, the farmers' market was having a regional promotion and rather fortunately the cheese-makers where there - so not only did I find out more about their cheese I also got to sample more of their range. 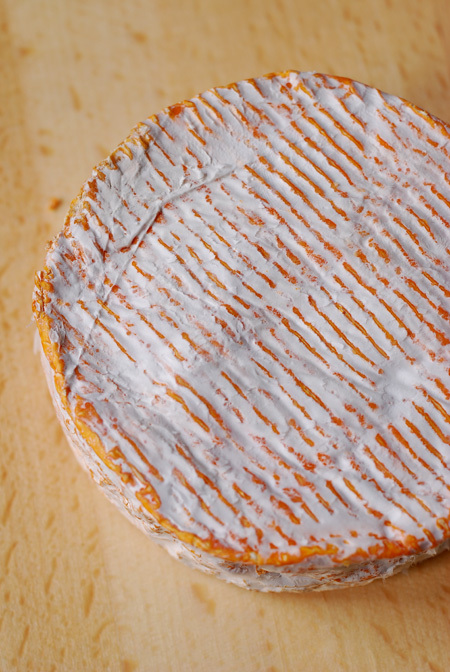 That tell-tale orange skin should immediately let you know that this is a washed rind cheese. 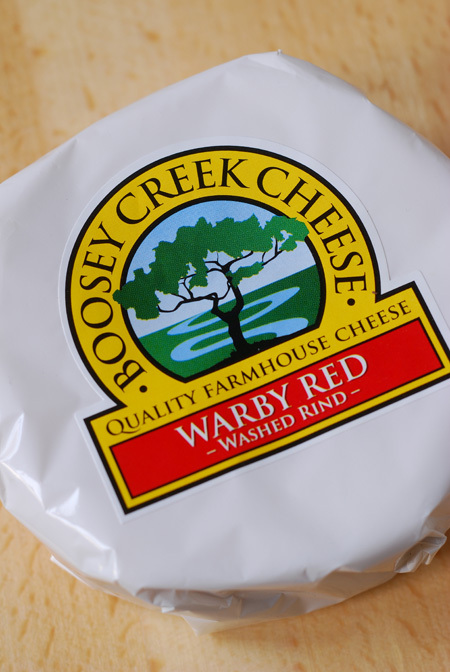 In the words of the cheese-makers, it is "hand-washed in our secret blend". All the milk used comes from their own herd of Friesian-Holstein cows - with the cheese making facilities located within the dairy. 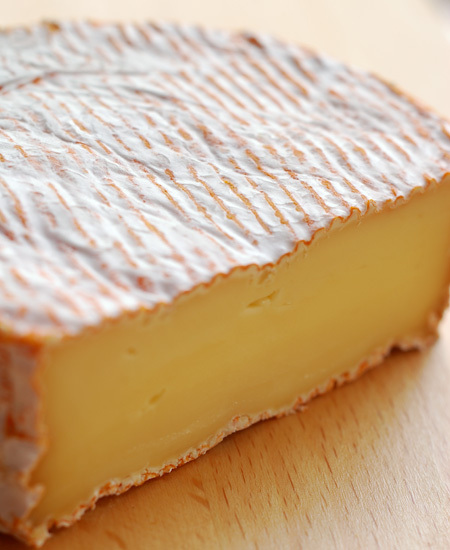 Unlike most of the other washed rinds, this is quite a firm cheese - in fact it is surprisingly firm give the ripe aromas wafting from its skin. 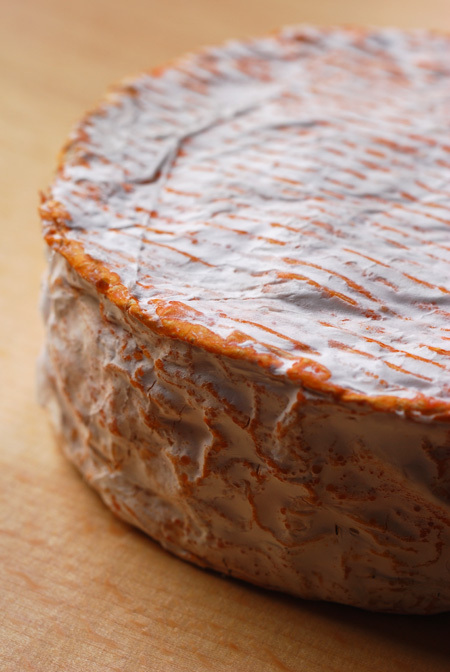 Even leaving it out reach room temperature didn't alter the firmness. If you eat the skin, then this is a rather potent cheese - Paalo who loves his blue cheese even felt it was just too overpowering. 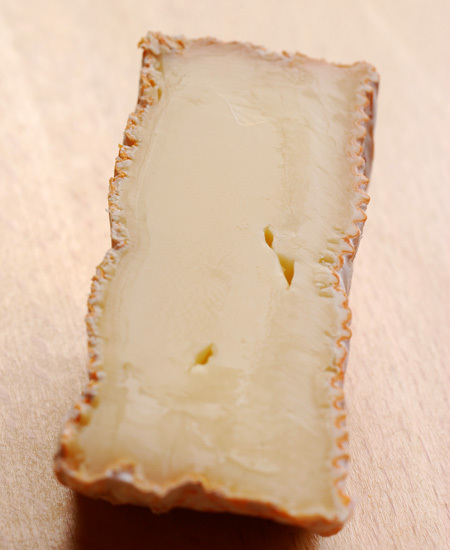 However, remove the skin and the cheese itself is very pleasant - there's enough of those washed rind characters coming through but the creaminess of the cheese softens the overall flavour. Not for the faint hearted but if you'd like to try it - here in Melbourne, it's only available at Leo's in Kew.